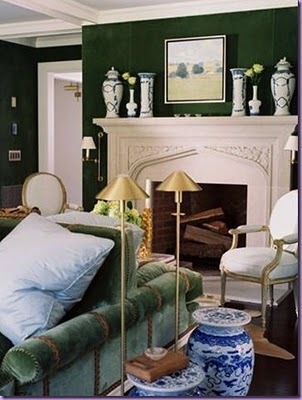 Check out the fantastic double sided couch covered in luscious green velvet and finished with gold braided trim! How unique. I've seen double chairs and love seats but never an entire sofa. Solves the face the fireplace or the TV problem!